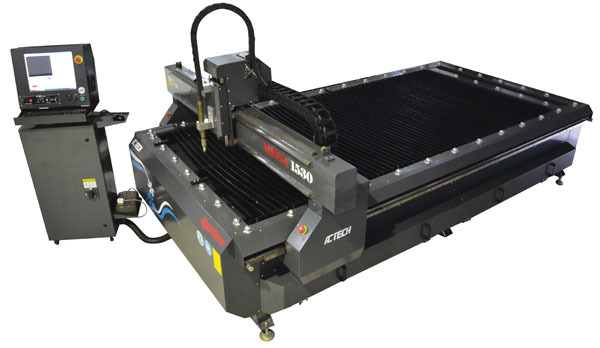 As the Malaysia's (Registered Pioneer Status) CNC Cutting Machine Manufacturer, we always concern about customer benefits in owning our CNC machine tool CNC plasma cutting system. 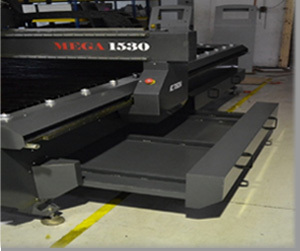 Mega Series is designed with unmatched features for those looking for value in a machine tool CNC Plasma Cutting System, Mega Sonic Series is built rigid design steel support structure c/w longitudinal and traverse steel profile connections and strong support plates for the cutting table and adjustable steel positioners on both the X- & T-axis to ensure fast & accurate plate placing & alignment with minumum distortion combined with industry's easiest-to-use operator interface. Plasma / Flame cutting process made simple! 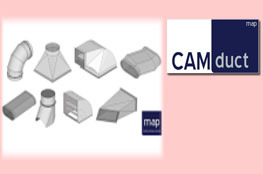 ICAM offer by ACTECH is the easiest and simplest cam software in the market. Experience cutting programming by only few clicks and you are ready to cut. ICAM is easy-to-learn, with preset plasma / flame cutting tools. From our experience, most operators take only few hours to master ICAM. Increase Production and Efficiency for Ductwork & HVAC Manufacturing Projects. Hypertherm designed and manufacture the most advanced plasma unit in the market, it offer your requirement from light to heavy-duty mechanized system. *Specifications subject to change without prior notice. 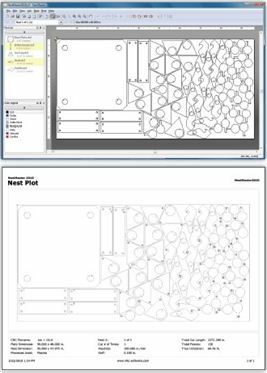 NestMaster nesting software, for introductory conventional plasma and oxy-fuel applications, delivers best-in-class performance and reliability, yet is also incredibly easy to learn and use. NestMaster 's intuitive design allow the most inexperienced operator to comfortably work with the program, which typically can be fully learned within one hour-a fraction of the time it takes to learn the alternative systems. NestMaster is Power Made Simple! - No machine offers more standard features than us. - Fully programmable retract between parts. - Automatic initial pierce height. 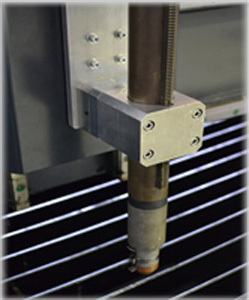 - Precision dual X-axis, Y-axis with rack & pinion. - Heavy duty all steel construction. 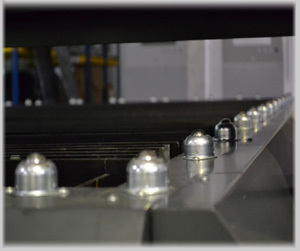 - Roller guide on each side for fast-easy plate placing. - Fast & easy installation, and you can start cutting parts. - Tool path display windows with adjustable speed rate. - 17" LCD display with industrual keyboard. - E-Stop, Plasma On/Off, Controller On/Off. - 3D Compass function shows arrows depicting the direction of positive X, Y, and Z in the toolpath display. - The feedrate can be manually overridden, in the range up to 300%. - The jogging speed used with hotkeys in Continuous mode is set as a percentage of the rapid traverse rate. - The elapsed cycle time for the current job is displayed in hours, minutes and seconds. 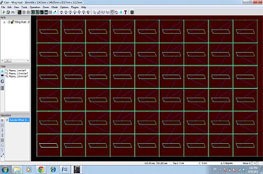 - Start from this line performs a dummy run of the part program and then prompts for a move to current position. -	Manual Data Input (MDI) has a single line for data entry. - ACTECH's controller Remote Access Software makes the instant technical support via Internet. 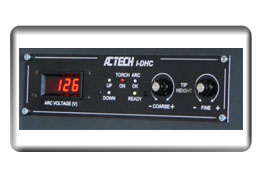 ACTECH's IDHC originated from United States. 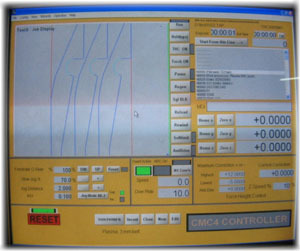 IDHC is crucial to obtain quality cut and least dross. 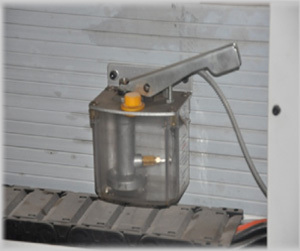 It uses plasma arc voltage as an input parameter converting to mechanical signal in order to achieve optimum constant height between nozzle and work-piece. This device has enhanced the cutting performances attaining less bevel angle, least dross and smooth cutting edges. ACTECH's Mega Sonics Series offers you the heavy duty Z-axis structure & magnetic torch holder which you can't find on other machine of its class. 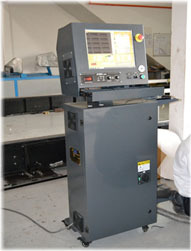 This is designed to minimize the damage of machine in case of collision between the cutting head and cut work pieces. ACTECH's Mega Sonics Series features dual retractable wastage bucket making parts or wastage is easy to collect and clean. Making plate placing easier and faster with ACTECH's ergonomically design! Lubricating maintenance to every single linear guide Block. We made this to easier operator's maintenance Job.